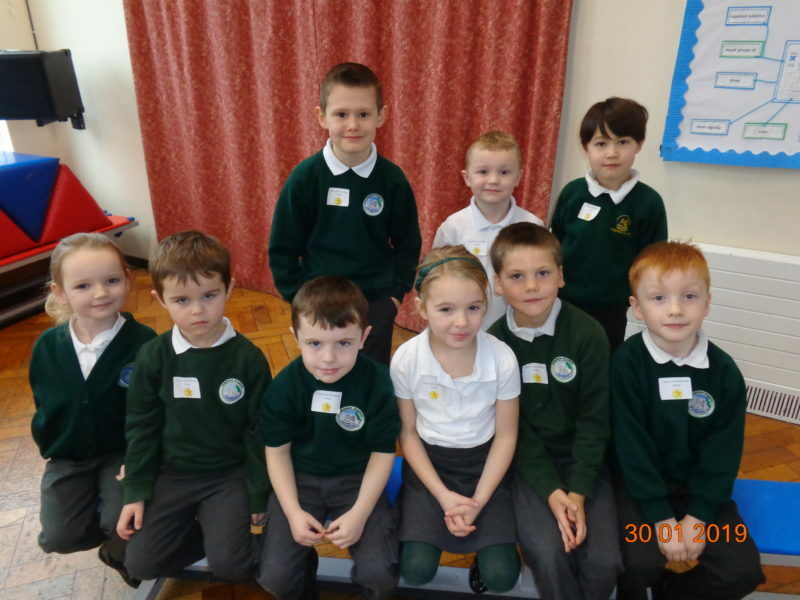 Each week Class Teachers choose a child in their class to be in the Gold Book, giving a reason for their choice. During a whole school assembly the children are called to the front and the reason they have been selected to be in the Gold Book is read out and celebrated by the whole school. For always trying her best and presenting her work beautifully. For working hard in every single lesson and ALWAYS following the Golden Rules. For always challenging himself and never taking the easy option. For being able to recognise when he finds something a challenge and being resilient and working hard to improve it. For writing a detailed and imaginative story about a dinosaur adventure. For just being himself and having a smile on his face everyday. For always trying her absolute hardest everyday. For trying so hard every day and not giving up when he has a challenge. For working hard to improve his writing.